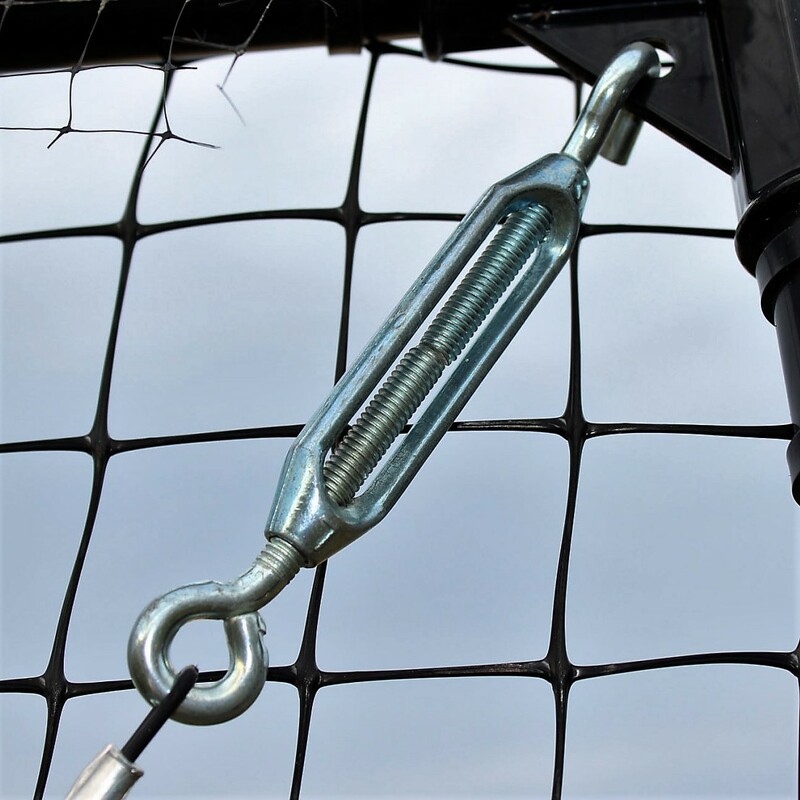 Turnbuckles are subject to a great deal of tension between the cable and the corner attachments – be sure your components are well secured. When installing, make sure the turnbuckles are all the way open. 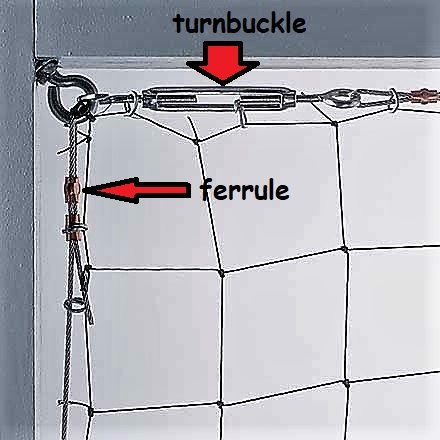 Pull the cable as tight as possible through the turnbuckle. Before tightening, be sure all slack in the cable is removed, taking up as much tension as possible and fasten with a screwdriver, etc. Be sure not to pull out any fasteners or eyehooks when tightening.